Attendees came from as far away as Australia, Austria, United Kingdom, and South Africa. Many U.S. states were represented: attendees as far north as Alaska on the west coast and New Hampshire on the east coast made the trek, and many from Florida, Georgia, Tennessee, and Virginia; from Canada, Ontario and Quebec, were well represented. 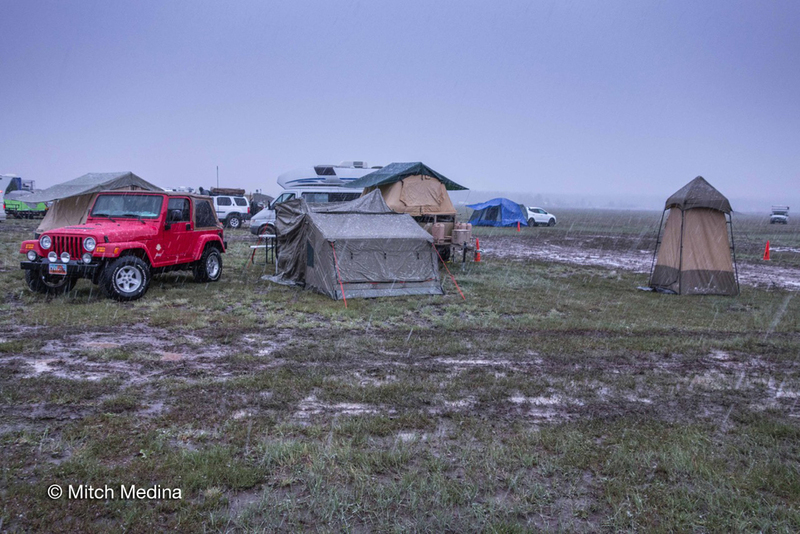 Overland Expo 2016 EAST was yet another weekend of record-breaking rain during the event (the most in 107 years) thanks to hurricane Joaquin. 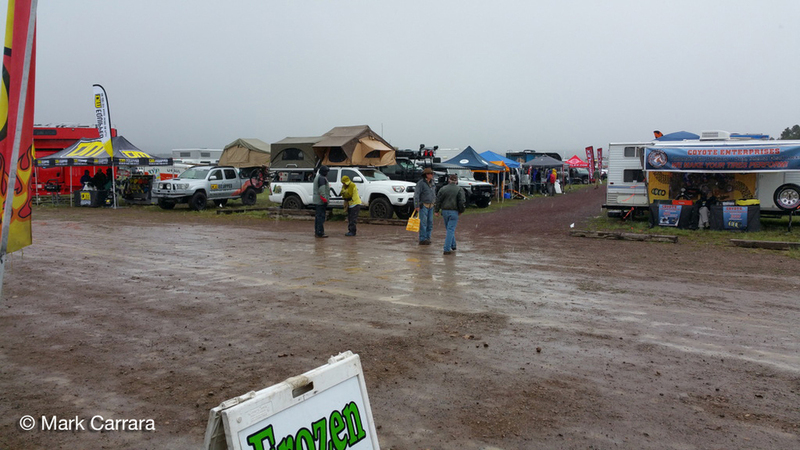 Despite the weather, the overland community still thrived at H2Overland Expo or Underwater Expo, as the attendees like to call it. 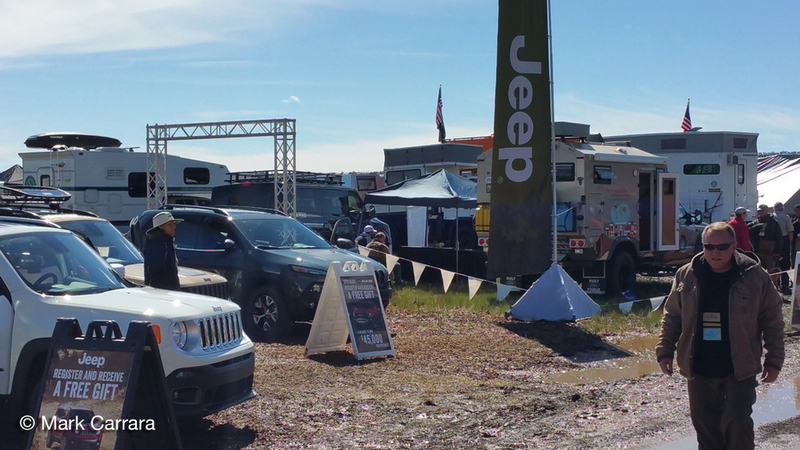 "Just wanted to send a quick note to say a BIG Thank You for this years Overland Expo East. Despite the rain & weather my wife and I had a great trip. I know that there were plenty of moments of stress and some tough calls to make on the part of all of you organizers. Really enjoyed the classes. Let me know if there is anything that I can do to help next year. " ~ Micheal L.
"While it is unfortunate there were the problems you described in your posting about the East event, I very much enjoyed the event even though I bailed mid-day Saturday. Still recovering from surgery with a new vehicle I was not properly set up for our weather conditions. . . 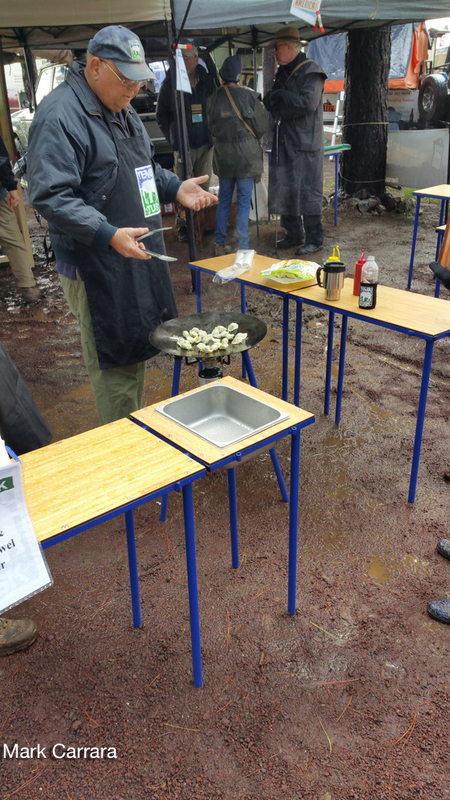 I hope people weren't too upset about the conditions imposed by the weather. If we are to do such activities we must be willing to engage and conquer the things nature, mechanical beasts and man's folly throws at us. 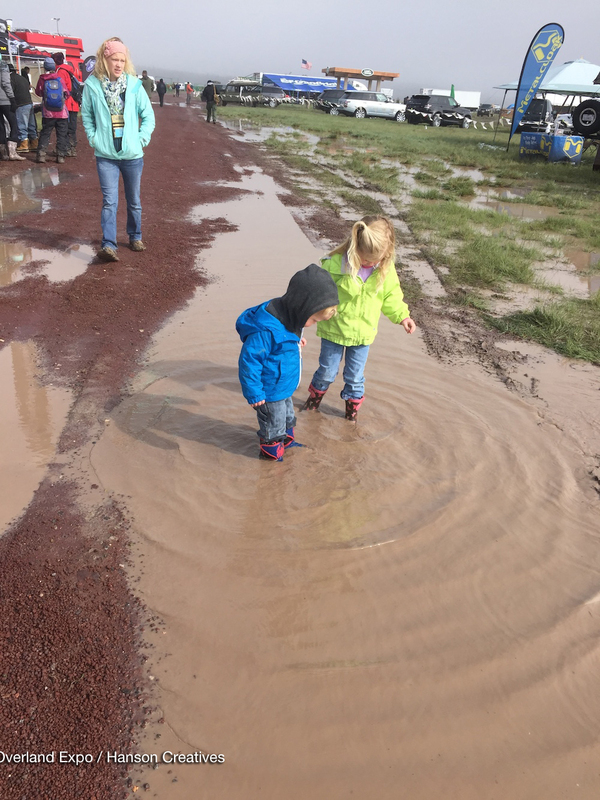 My daughter had a great time at Expo West this year as I did at East. Hopefully I will be able to attend at least one event next year." ~Dan B. 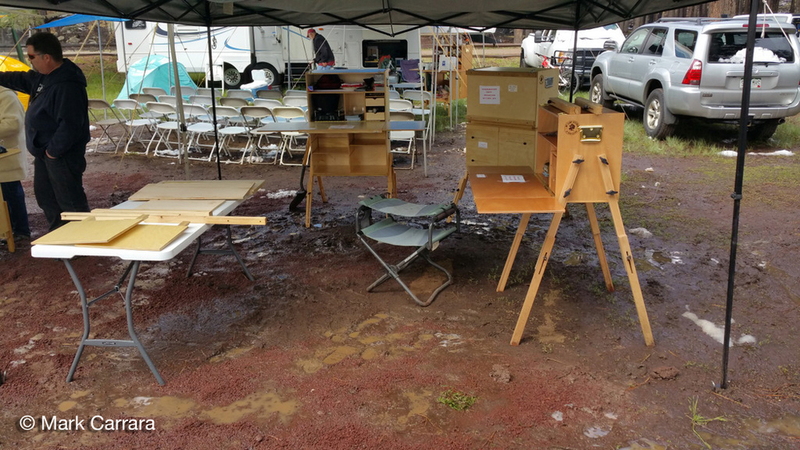 "This past weekend we were at the Western Land Rover Rally, and there were about 15 vehicles from the Northern California Land Rover Club. 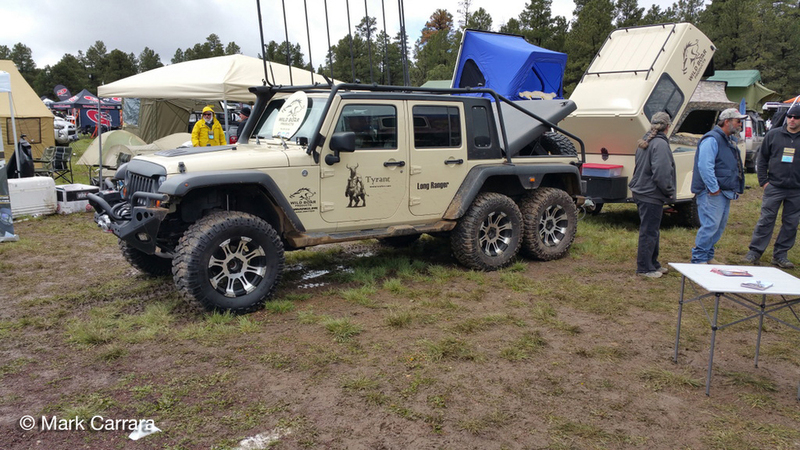 On two separate occasions, I was approached by California owners that had found out Grace was on staff for the Overland Expo. They both requested you move it to Northern California, because they could use some record breaking rain/snow. " ~ Kelly H.
American Adventurist, "Lessons learned . 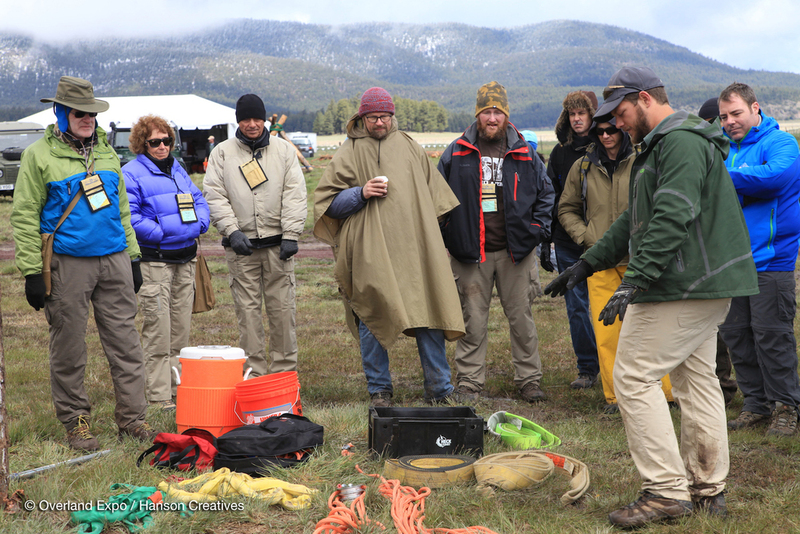 . ."
American Adventurist, "... with Exploring Elements"
Attendees came from as far away as Australia, Brazil, Czech Republic, France, Mexico, United Kingdom, Switzerland, and South Africa. Many U.S. states and nearly all Canadian provinces were represented: nearby Arizonans, Californians, and Coloradans were in high attendance, and others came from as far north as Alaska and from as far east as Florida and Connecticut. 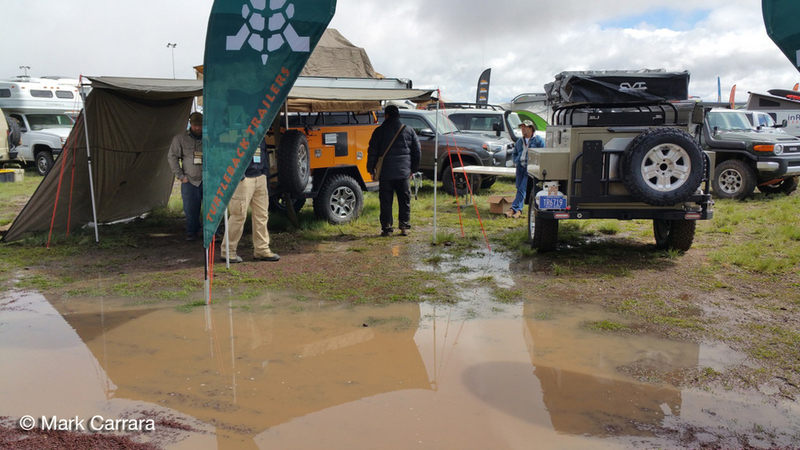 Record-breaking rain and snow during the event (the most in 100+ years) yet somehow the adventure and camaraderie added up to the very best show ever, Snoverland Expo. Created many impromptu recoveries and teaching. Record-breaking sales numbers reported from Exhibitors. Exhibitor attendance grew by 25%. Attendees were down by 10% because we opened an EAST show and saw some transfer to that venue. "I was so impressed with the professional manner that you handled a very challenging situation. Great job! Your staff was gracious and helpful through it all." ~ Cynthia C.
Close to 500 participants were Overland Experience package attendees, almost what we have for the WEST show (which grew to that number over 6 years). Attendees came from as far away as Australia, Egypt, Korea, and South Africa. Many U.S. states and nearly all Canadian provinces were represented: Californians and Oregonians made the trek, and in particular, Ontario and Quebec, as well as Florida, Tennessee, and Virginia. Beautiful private venue at Taylor Ranch, with mist-covered lakes in the mornings, flyfishing and drift- and rowing-boat demos in the afternoons. The start of fall colors and cool temperatures. 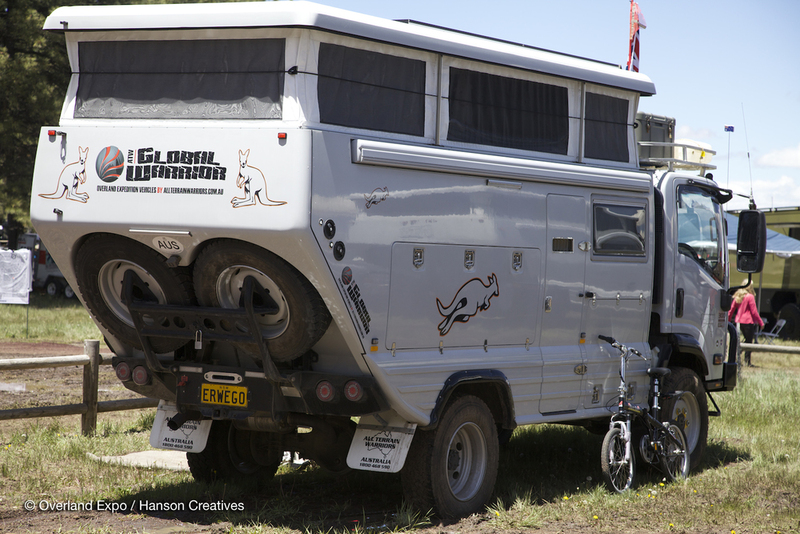 Our most dynamic and centrally located Camel Trophy Skills area yet. 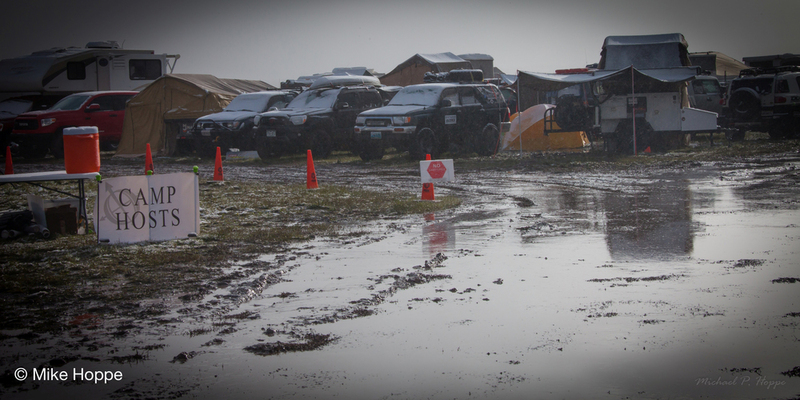 A long and challenging driving course, and an epic mud recovery area. “I would like to thank both of you for your time and efforts in organizing this event. I had an exceptionally good time and it was well worth attending. Everyone there was exceptionally kind and thoughtful. 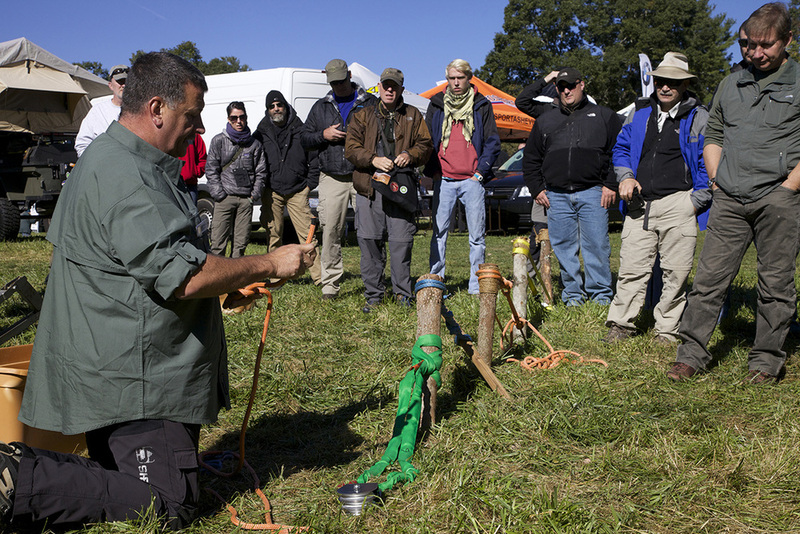 I am looking forward to Overland Expo EAST #2 next year. Wishing you both a safe trip home.” ~Marc C.
"I want to thank you and the staff at the Expo for accommodating our FJ Cruiser group. 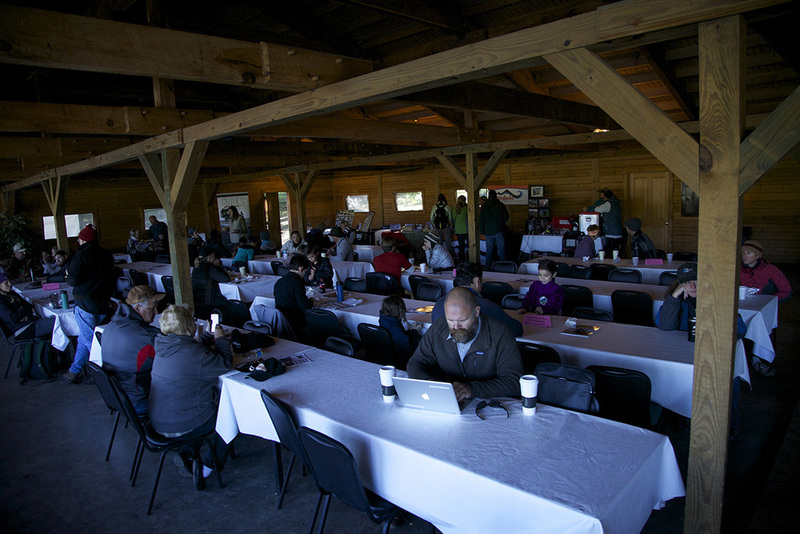 Everything was very well organized and the location was awesome. I personally was overwhelmed by the number of attendees and the exhibitors/vendors. 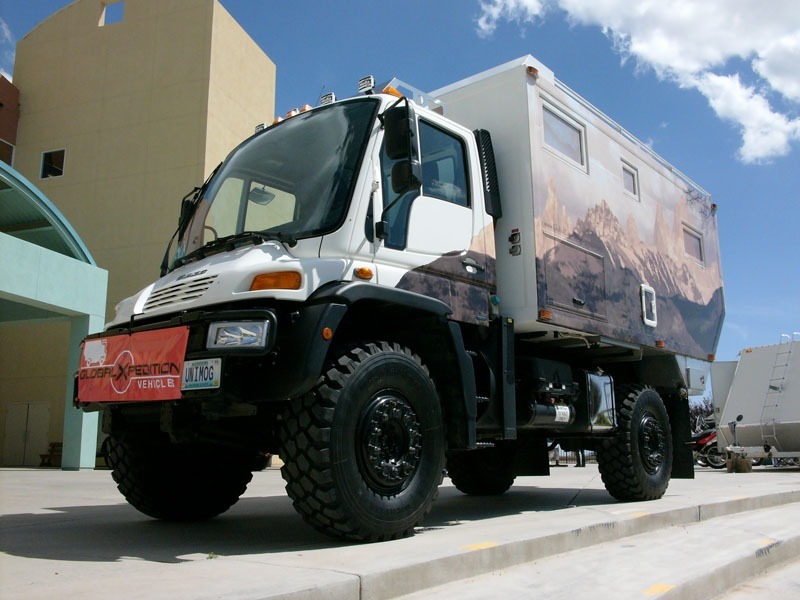 There were some incredible overland vehicles and trailers to see and tour. BUT … my want list grew exponentially and I think my wife is already tired of me talking about what I want to do/build next, but in a good way. Thanks again and can’t wait for the next event.” ~Scott H.
We grew by 20% overall—attendees, exhibitors, staff. 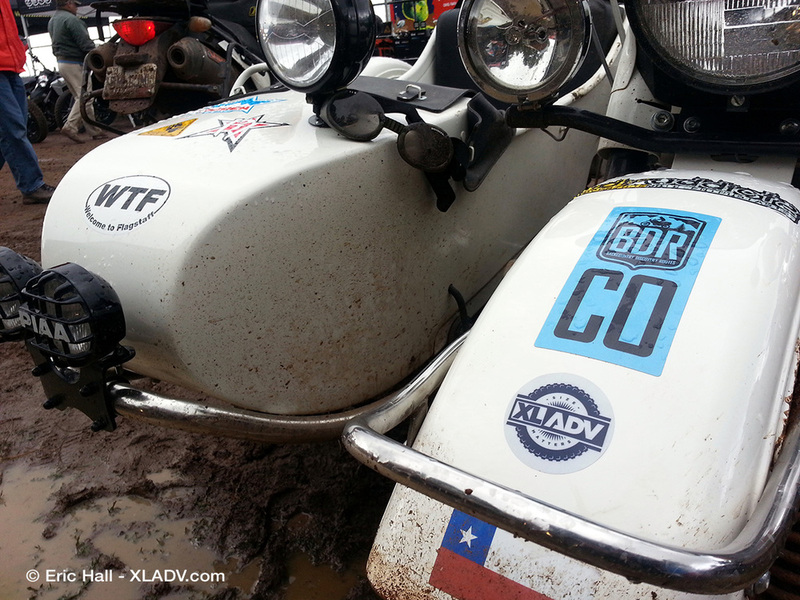 "Flew" a motorcycle via zipline across the pond using a winch in the Camel Trophy Skills area. We grew by 25% overall—attendees, exhibitors, staff. Built an 80-foot pontoon bridge. 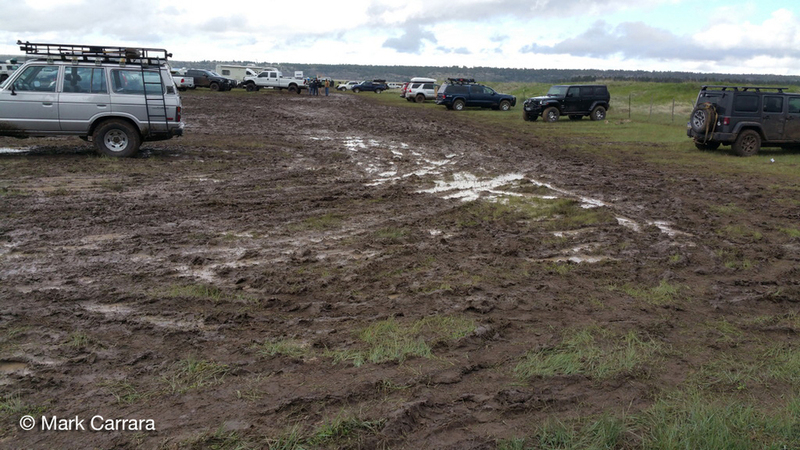 Expanded the driving course and advanced teaching area to nearly 10 acres, including an insidious mud bog and the world's hardest recovery pit. "I just wanted to tell you that when I first signed up for this event, I was expecting it to be a very loosely (at best) organized. I am dazzled by all that you have put together. The communications, website, Facebook pages, etc. are all really very well done. I just wanted to let you know all your hard work is noticed and appreciated!" ~ Cheryl M.
Checked more people in Thursday this year than we did Friday and Saturday last year. Floated a Land Rover across a pond. "Just wanted to drop you a line and let you know how much we enjoyed the Expo this year. The venue at Mormon Lake was fantastic! I would like to encourage you to use this venue again next year. As a resident of Colorado I would like to see it a little closer to home, but I would gladly make the trip back to Flagstaff." "Great show, will attend again next year." "I live here in the town of Mormon Lake, where the event was held, and belong to the local fire department as a captain/EMT. It was a complete joy having you here and from a public event standpoint, your organization is welcome back anytime!! Anyplace with the opportunity to help in hosting your event in their area should jump on it and roll out the red carpet." "Thank you so much for putting together such a great expo. We had a very good time. We are very much looking forward to next years expo! Thanks, again, for everything!" "Just wanted to let you know that I attended the Expo on Saturday and Sunday & was very, very impressed!!!! What a great event!!!" "Thanks for coming to Flagstaff. The event was excellent. Absolutely loved the movies and presentations. I hope Flagstaff worked well for you and your team. Please come back!" "Congratulations on a very successful event. Well-done, as usual. 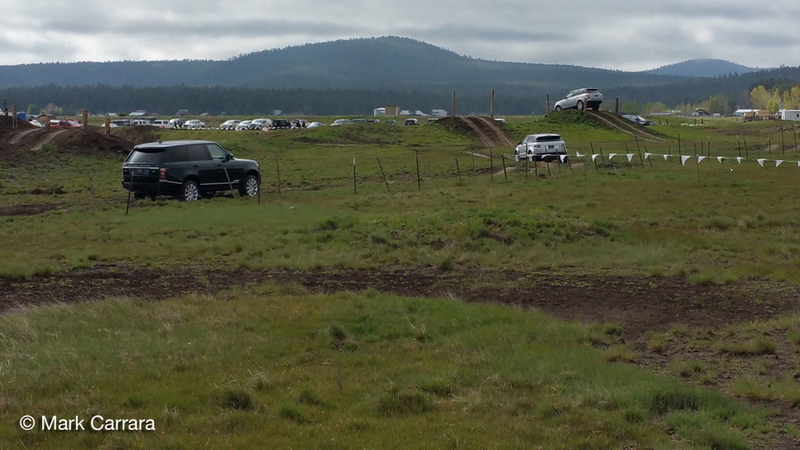 I have written before and still feel this has the potential to be the biggest and best event(of any motorized rally) in the USA, heck maybe the world. Thank you for doing this." "Wanted to let you know that all of your very hard work on making this year’s OX an amazing success is so appreciated. The new venue was perfect; the turnout was exciting; and the fun I had seeing old friends and new had me bubbling over. I had a ball teaching my dehydrated cooking demo and was amazed that I kept my camp stove going for 50 minutes to bake an upside-down pineapple cake amidst Friday’s winds. The kids had so much fun meeting Jack and making other friends that I hardly even saw them. Thank you!" "I have been to the last three of your expos. Each year has been getting better. I always look forward to them. I like it in Flagstaff area for more places to camp. Thank you very much and see you next year." 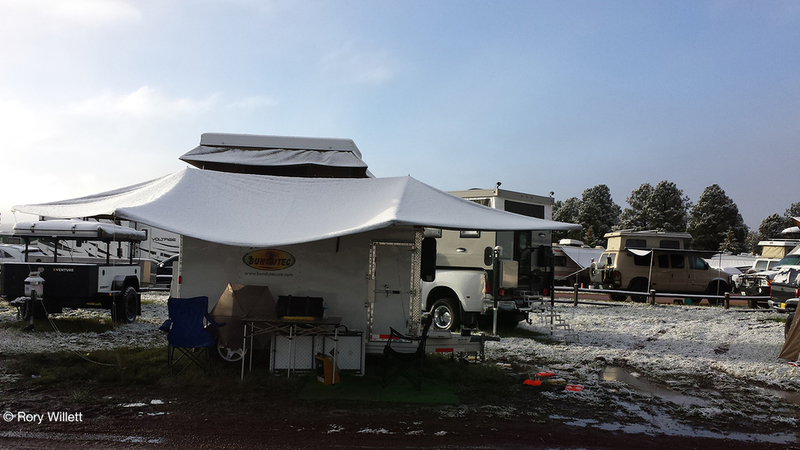 "The people were definitely top-notch at Overland Expo . . . It seemed everyone who taught & helped in our classes took the time to answer our silly little questions, and they all seemed interested in our trip planning. We were honestly a little skeptical about paying for the Overland Experience package, especially on our budget. We learned so much over the weekend that we would gladly do it again. It was money well spent! We had so many opportunities to learn hands-on skills and Jim Swett (Camel Trophy Ruta Maya) was an awesome driving instructor and fellow Toyota guy. He even managed to get Shannon to hop behind the wheel and drive the Land Rover course. She tackled some fears on that course!" 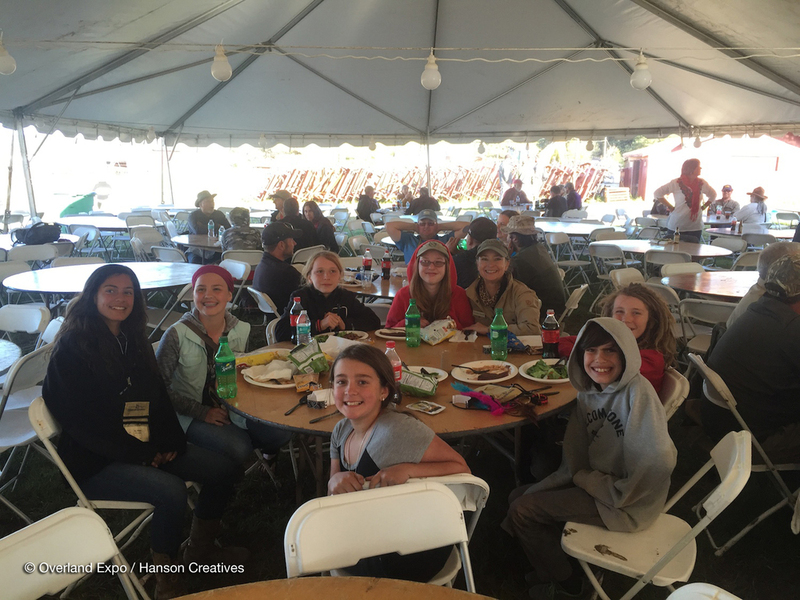 "Bevan and I had such a great time seeing new things and catching up with old friends, we made a lot of new friends and really want to thank Roseann Hanson and the entire Overland team for such a great event, it was brilliantly run and the sessions were top-notch. I totally loved the Film Festival and a big Thanks to Austin Vince for that . . . "
"Thank you also for organizing a terrific event. We had a great time, watching films, visiting with so many people, buying DVDs, maps, books, etc. and meeting with the many vendors and travellers! There's nothing like your event anywhere else. We'll be back-next time with motorcycles!!" 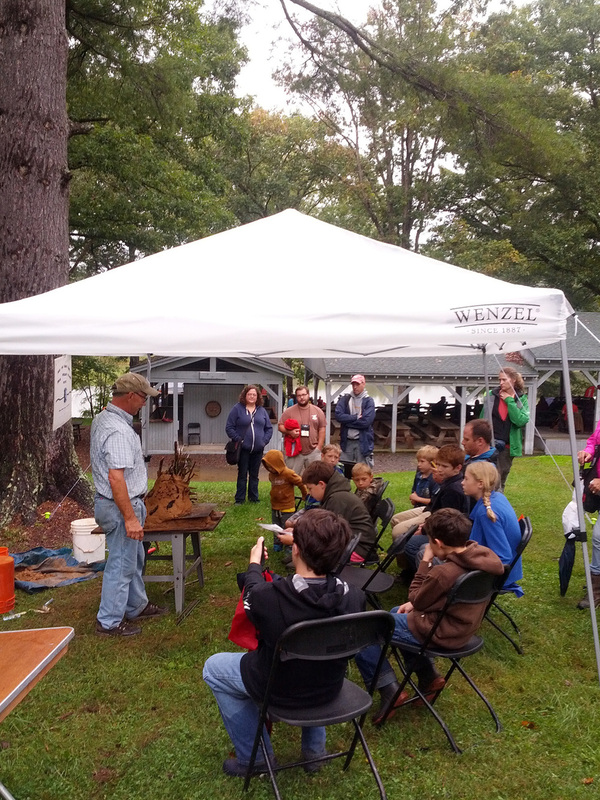 "We enjoyed the event and appreciate all you and your staff did. We are planning on returning next year." 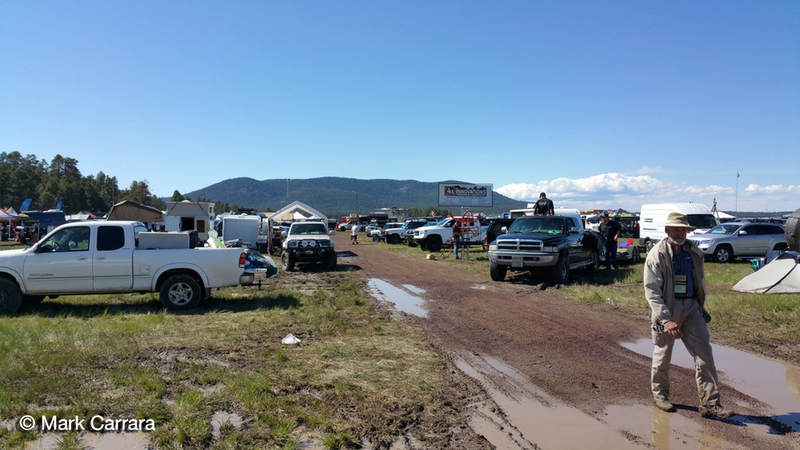 "With a majestic landscape as its backdrop, few public events speak to a sense of discovery better than the Overland Expo. 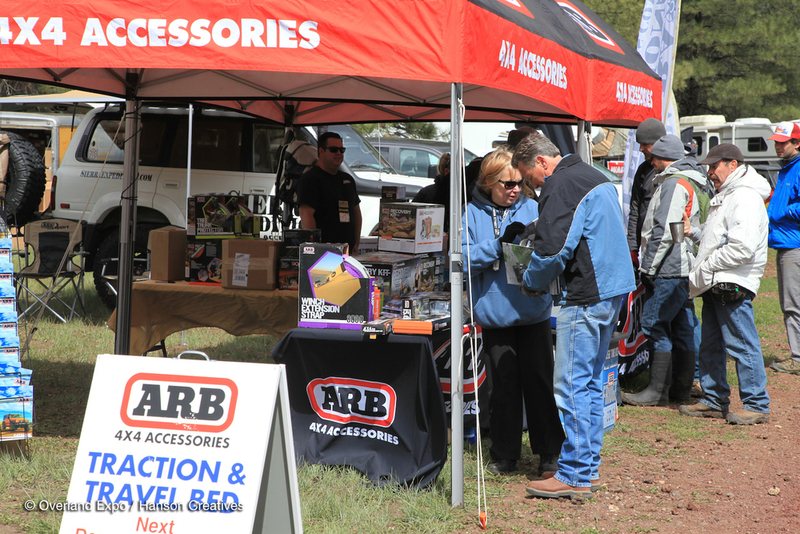 In our first year, in a display shared with outfitter ARB-USA, Suzuki staffers were delighted by both the venue and the organizer's ability to populate that venue. We hope to be back—with product and presenters that can even better engage those in attendance." "On behalf of the Dirkse family, I just wanted to say thank for a great OX10. We thoroughly enjoyed it and can't wait for our next opportunity to attend." 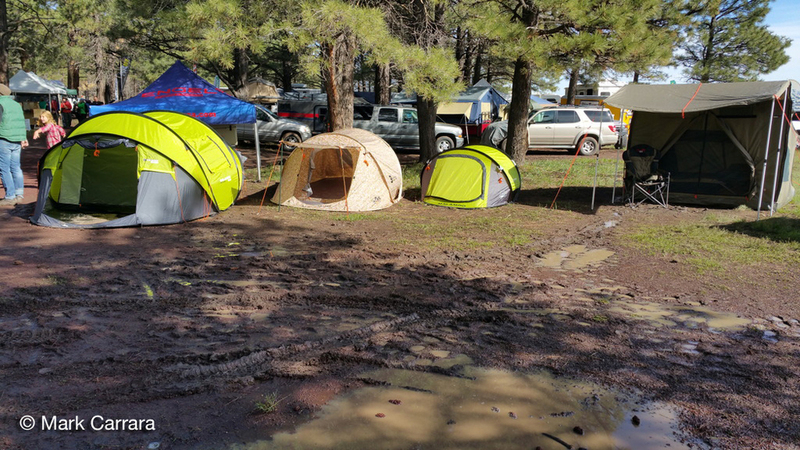 "I was talking to one guy who said he pulled up to Overland Expo, parked, and spent his first two hours in the campground before he even realized he wasn't at the real show." 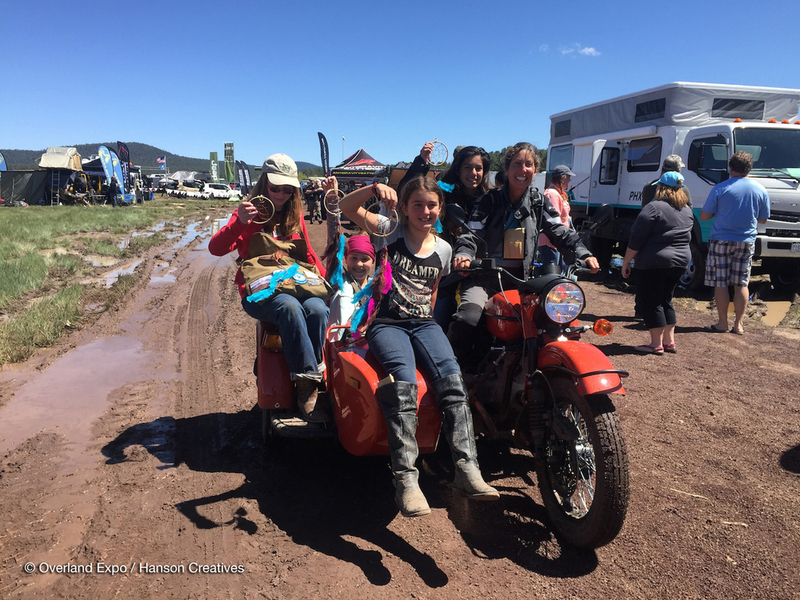 "Not only did the Raw-Hyde motorcycle training team teach us a ton of stuff in a short time, they did it in such a fun, positive manner. Their method boosted our confidence a bunch. We got out today and did 9.5 hours in the Arizona desert . . . top-10 best days of my life. Thanks . . . you guys changed our lives." "G`day . . . 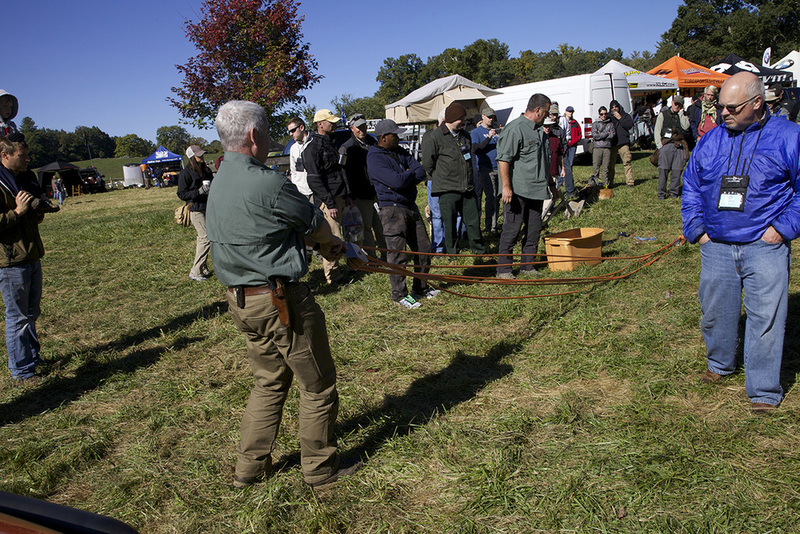 Thank you for the hospitality—a great event, and well worth the trip." 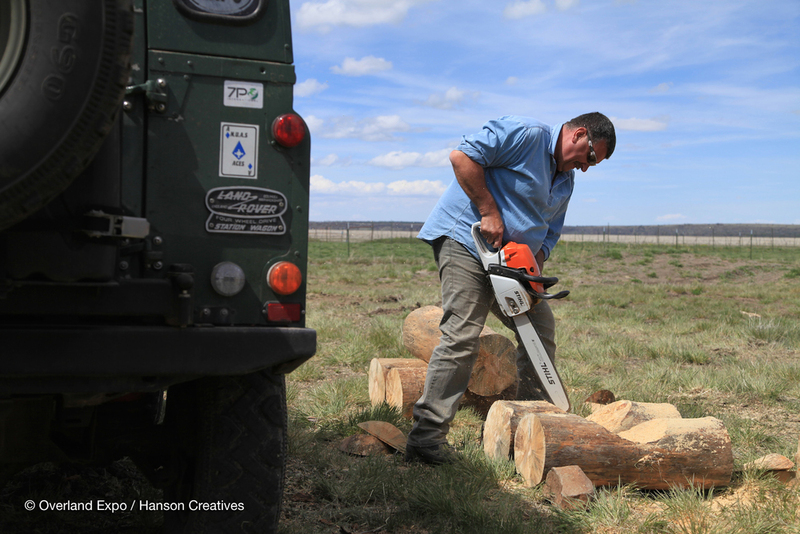 "Sarah [Batten, director of Land Rover Experience training] made it an experience I will not forget. She taught me about our car. She taught me how to make it fun, not just a drive in the desert . . . I am blessed to have had the privilege of learning from Sarah. In those few hours she took away the hot, dirty, deflated exhaustion and gave me an excitement for exploring." "Amazing people throughout, with so many interesting stories and so much heart. 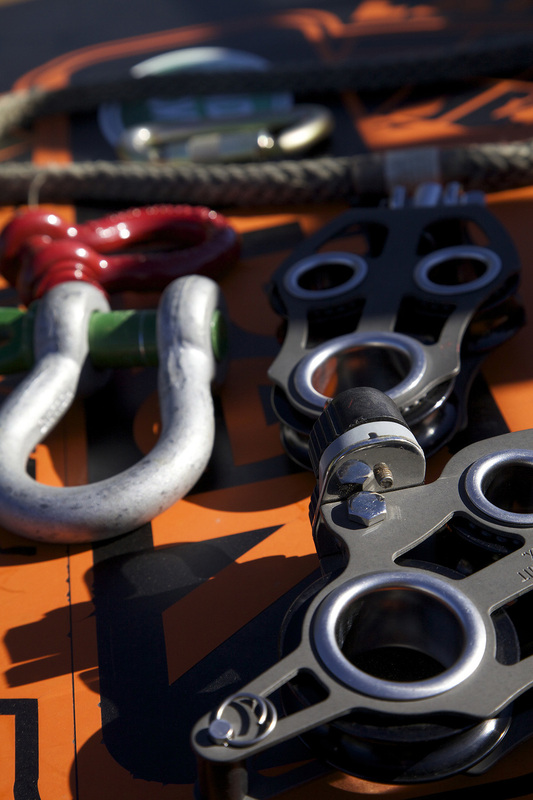 We got a kick out of being involved and had a fantastic reception on the business side." "I feel that I can speak for all of the exhibitors ,vendors, featured vehicles, day pass people, people who took classes, etc. : everyone that had the Expo experience gained a tremendous amount of knowledge and a great time. 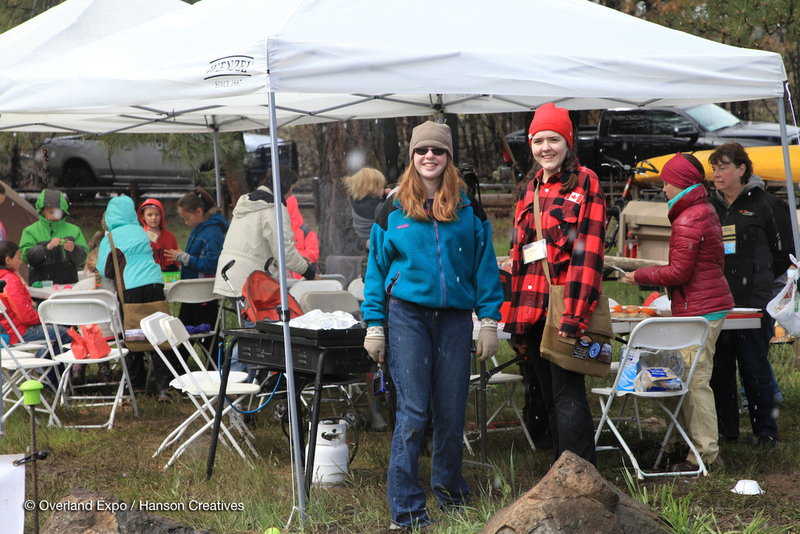 The event was well-organized, no litter, and staff was very helpful. Watch out for next year." "[During OX09] one could feel the 'buzz' of something special that was on the verge of exploding and I think the growth over last year confirms it. We had a great time. 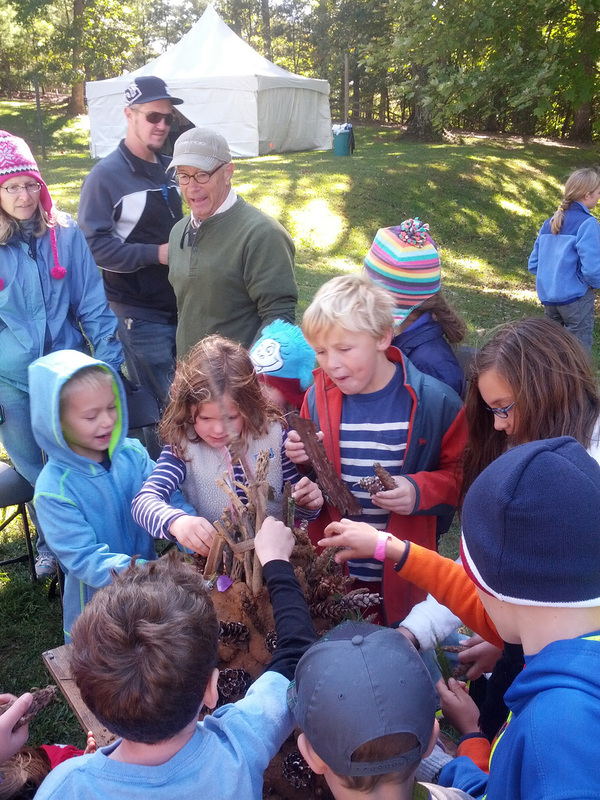 The satisfied and excited attitudes of my students re-affirmed it." "I had such an incredible time meeting other vendors and getting inspired by the classes and films. [It was] a large and inclusive event that was beautifully detailed—all of us were swept up in the incredible energy that surrounded it. It was unforgettable for me. I look forward to being a part of it in the future." "The meeting of so many quality people has really and truly uplifted my life." 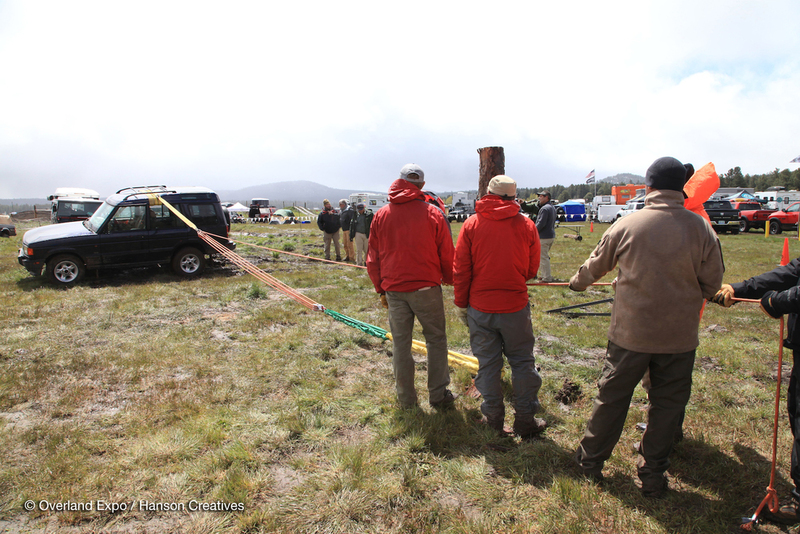 "[Overland Expo] brought us together with a common goal . . . conservation and responsible exploration. What a great thing! I think you could say that history was made last weekend, that this event validates . . . that this is an industry, a lifestyle, a way of life that is growing, strong, good, and here to stay." "It was a fantastic chance to meet the whole tribe, and the sense of community was almost overwhelming. 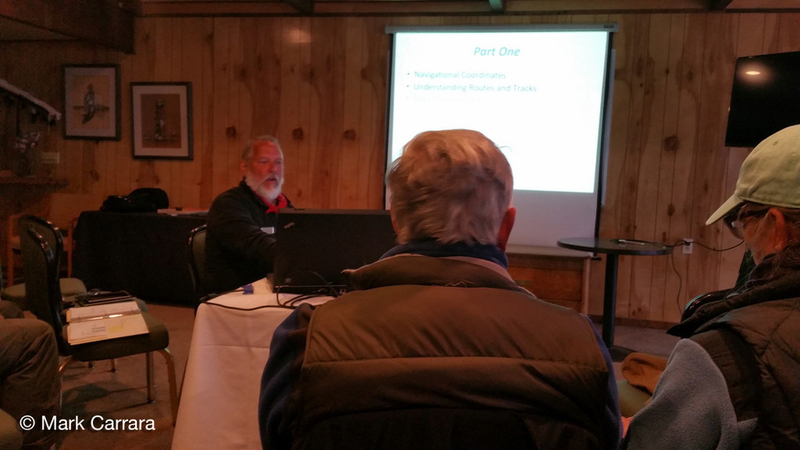 Unlike any 'trade show' I think I've been to before, it was much less about 'selling stuff' and so much more about sharing advice and experiences. Fantastic." 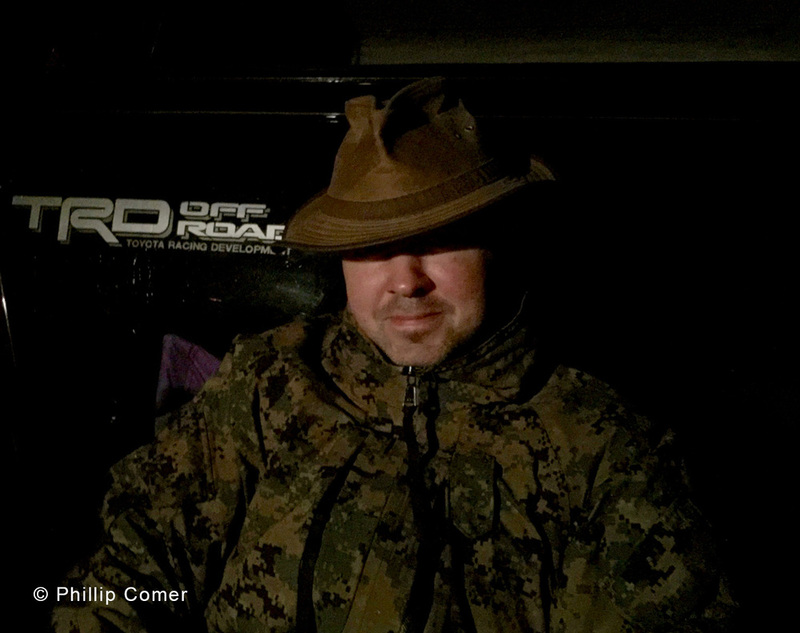 "This weekend has shown me that the world of overlanding is an accessible one, even to the average person like myself. 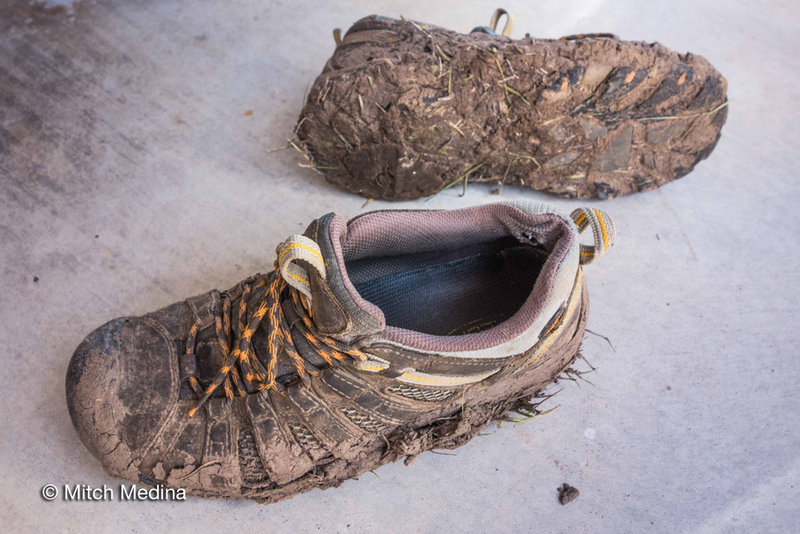 Though my goal is to explore Africa someday, my short-term goal of exploring the American Southwest is all the more plausible after this weekend and I have a firm sense of how to make that goal a reality." 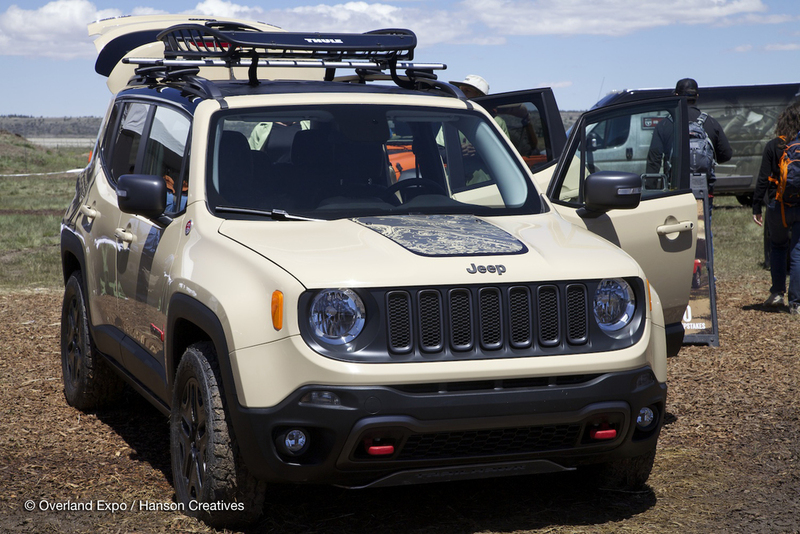 "The involvement and enticement of women to overlanding [was a great success]. As a husband, I say 'thanks' for helping to bring my wife more into overlanding and having other wonderful ladies there as examples. My wife bought both of Lois Pryce's books (and got them signed of course). 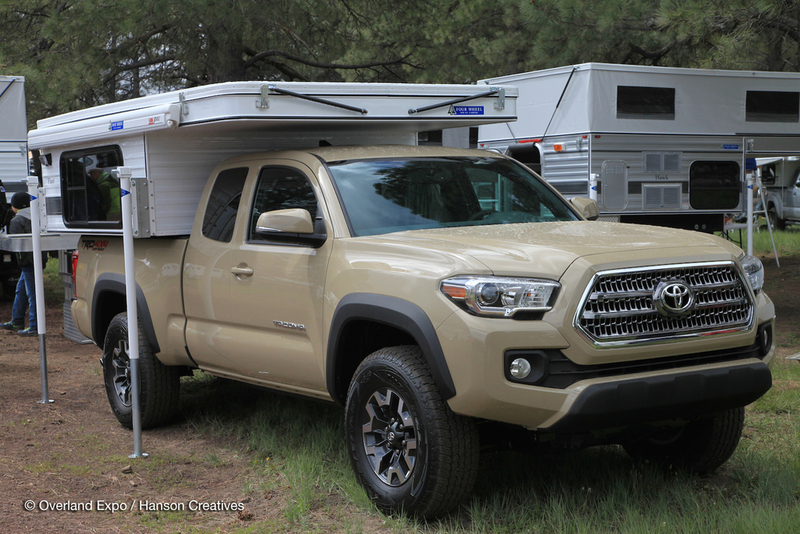 From the Sportsmobiles to the folding Adventure Trailer to the entire feel of the event, it was balanced and fun versus testosterone madness. Thank you!" "There was such a wealth of knowledge and experience present at each of the classes I attended that the instructors acted more like facilitators than traditional teachers. I found the instructors eager to choose topics and guide discussion rather than a more traditional teaching format. Everyone brought something to the learning table; we were all students and teachers at the same time. All the instructors did a truly stupendous job leading the discussions and restating the real world experiences from around the globe to create a very unique and effective learning experience." "We absolutely enjoyed it, including my wife. Where before I was just pulling her along (on overland trips), now, because of Overland Expo and her experiences here, she's beside me, or leading!" "It was wonderful - and inspirational. It opened new doors for me, as well as affirmed my husband's knowledge about overlanding - I'm much more comfortable now than ever before."